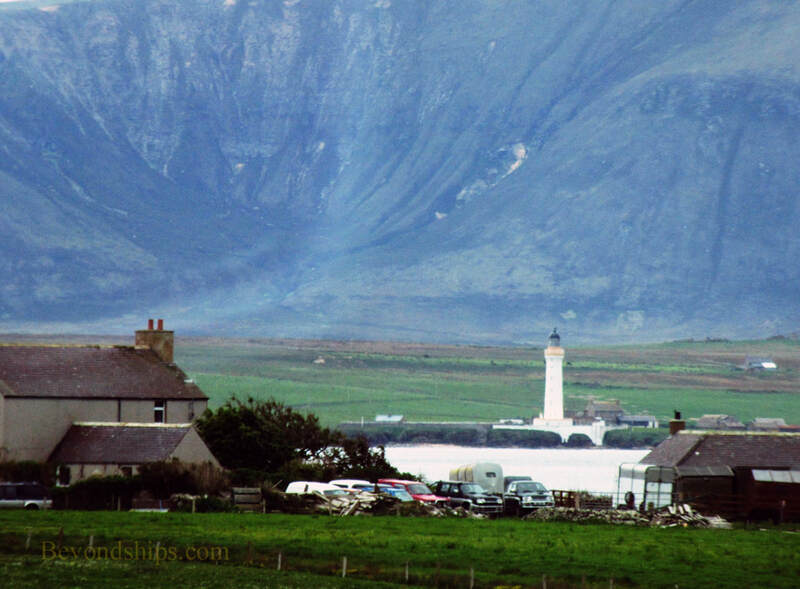 Surprisingly, Orkney (also called the Orkney Islands) has become Britain's most popular cruise destination. An archipelago of some 70 islands, only 20 of which are inhabited, Orkney is north of mainland Britain at 59 degrees north latitude. They are thus far from the metropolitan centers of London and Edinburgh. Windswept, the islands are almost devoid of trees and are subject to harsh North Atlantic weather. They are not Caribbean islands. Kirkwall, Orkney's main population center, is a town, not a city. Much of the rest of the Orkenys is sparsely populated. Why then has cruise ship tourism grown so rapidly in the last decade? One reason is the location. Orkney is a convenient port of call on cruise going around Britain, cruises to the Norwegian fjords, cruises to Greenland and Iceland, and some Northern European cruises. 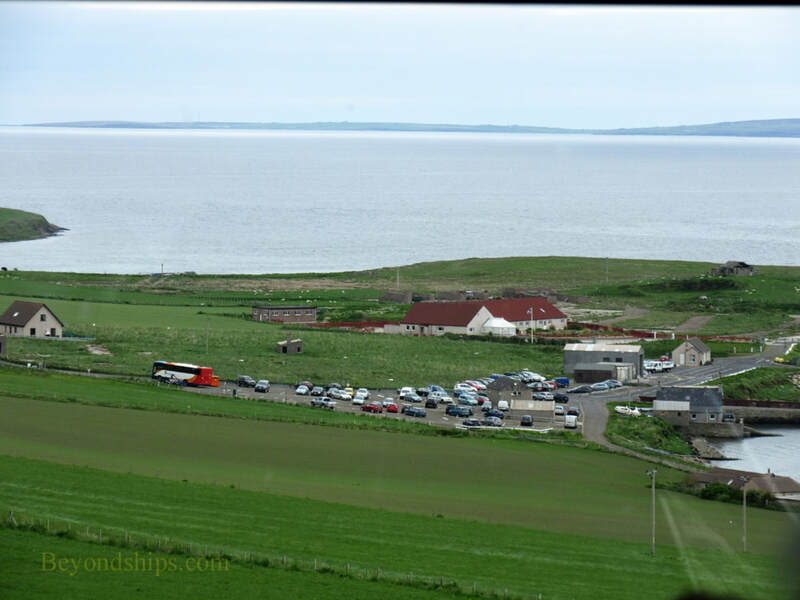 But location is not the only reason, the cruise ships call in the Orkney Islands. If there was nothing there to see or do, passenger complaints would quickly stop the cruise lines from going there. 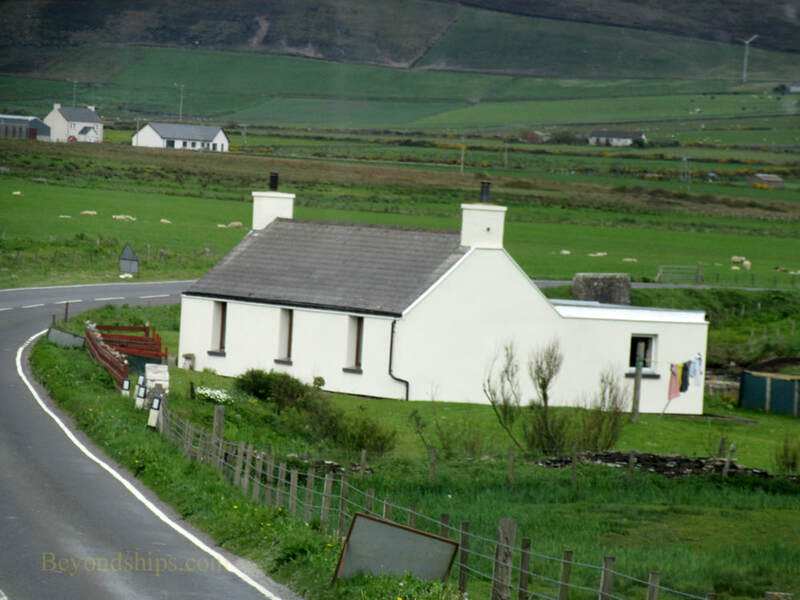 Orkney offers history, both ancient and recent, as well as a largely unspoiled rural environment. In addition, its attractions are not commonplace. Orkney has been inhabited for thousands of years. Indeed, it has some of the best Bronze Age sites in Europe. During the Middle Ages, the vikings used Orkney as a base for their voyages. As a result, the islands came under Scandinavian control. Orkney is proud of its viking heritage. Indeed, the flag of Orkney looks very much like the flag of Norway. Scotland took control of Orkney in 1472. the king of Norway had used Orkney as security for the payment of his daughter's dowry when she wed King James III of Scotland. When the dowry was not paid, Scotland annexed Orkney. The Orkeny Islands were a major base for the Royal Navy in both World Wars. At the end of World War I, the remains of the German fleet were brought to Scappa Flow to be handed over to the victors. Rather, than see their ships in British hands, the sailors scuttled the fleet. The remains of some of these ships are still beneath the waters of Scapa Flow. Along the same lines, at the beginning of World War II, a German U-boat successfully avoided the defenses at Scapa Flow and sank the British battleship Royal Oak. The wreck of that ship also remains. During that war, Italian prisoners of war were brought to Orkney. To protect Scapa Flow, they built the Churchill Barriers blocking some of the access channels. These now serves as causeways linking the island Kirkwall is on (known as “Mainland Orkney”) to the southern islands of the archipelago. They also converted a per-fabricated hut into an elaborate chapel no known as the Italian Chapel. Above: Orkney has numerous Neolithic sites. Below: A seal frolicking off the Orkney coast. The Orkneys are a haven for birds. There are some 750,00 acres set aside as wildlife preservation areas. 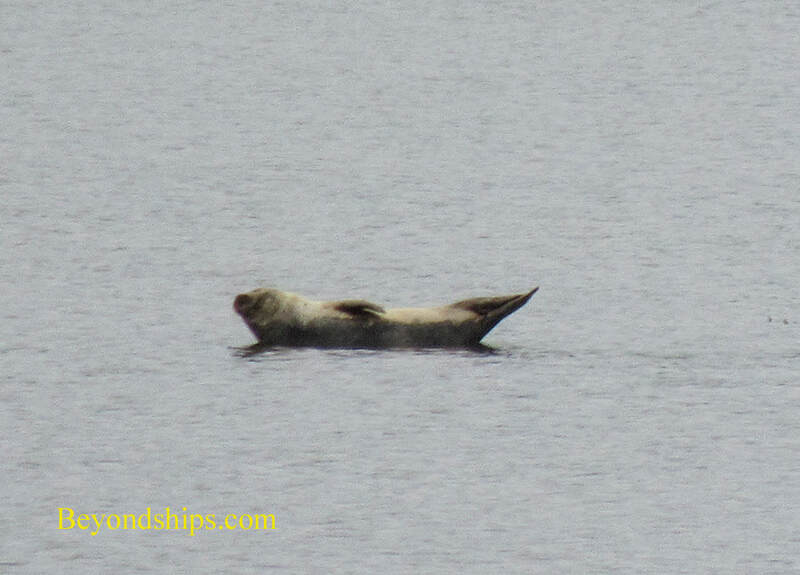 It is also not uncommon to see seals in the waters offshore. The town of Kirkwall is the administrative center of the Orkney Islands. The local currency is the British pound sterling. Credit cards are widely accepted.